In recent years, numerous initiatives have highlighted the importance of the transition towards more resource efficient and circular economies on national and international policy agendas. Prominent examples include the Sustainable Development Goal 12, the G7 Alliance for Resource Efficiency, the EU Roadmap to a Resource Efficient Europe, Raw Materials Initiative and Circular Economy Action Plan, the OECD work streams on resource efficiency, green growth and green finance, and similar activities by numerous national governments. Several international financial institutions – including the European Investment Bank, European Bank for Reconstruction and Development, and the International Finance Corporation of the World Bank Group – have put resource efficiency high on their agendas, providing substantial funding for resource efficiency projects. The United Nations have established the International Resource Panel as a dedicated commission of experts on the issue. Such initiatives are underpinned by national, regional, and local efforts to upscale resource efficiency investments, aiming to redirect “waste” back into value chains. Many multi-national companies are now exploring the opportunities of resource efficiency – for instance organized in the Circular Economy 100 group. So how can ambition, individual projects, and high-level targets be translated into wide-ranging action on the ground? A new book covers the multi-faceted incentives and complex trade-offs associated with investing in the resource transition – the move towards more resource efficient and circular economies. It offers strategies for improving the efficient use of resources and advancing clean and sustainable development. 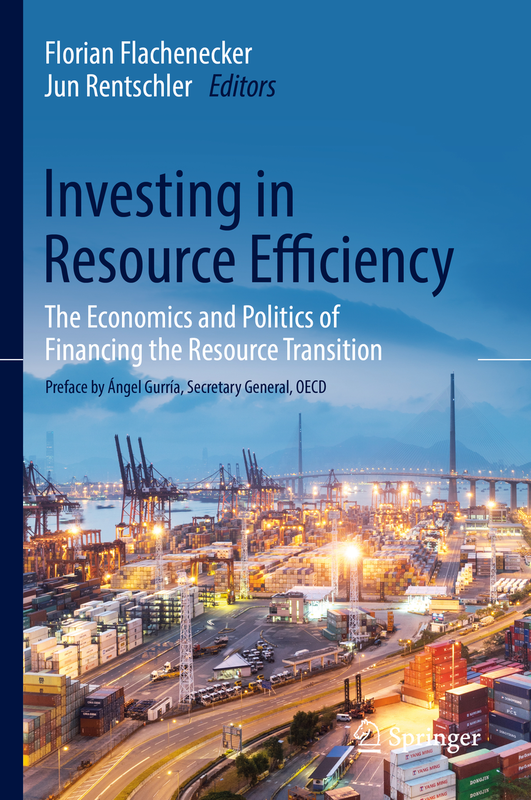 As OECD Secretary-General Ángel Gurría emphasises in the preface to this book, the transition to a more resource efficient and circular economic growth model – the resource transition – is an integral component of sustainable development. Various contributions in the book explore the factors and approaches that can determine the success of the resource transition, focusing on the role of investments. In particular, decision makers on the ground play a crucial role: While governments determine overall policy frameworks, businesses and individuals are at the forefront of implementing the measures and investments for increasing resource efficiency. While there may be little doubt regarding the benefits of being more resource efficient, becoming more resource efficient is a complex task. Firms are faced by a range of market frictions and barriers, which can dis-incentivise or even prevent them from undertaking investments in efficiency and low-carbon technologies. Increasing resource efficiency requires action on the ground: Individual and decentralised decisions by firms and individuals are at the forefront of determining investments in resource efficiency – for instance by developing and adopting modern, efficient technologies and production processes. High-level policy frameworks and targets must account for the complex realities that actors such as SMEs are confronted with in practice. To this end, platforms are required that allow information on ambitions and practical feasibility to flow between international, national, and local levels. Significant investment barriers are impeding progress: The incentives for investments in resource efficiency are determined in a complex context of competing investment opportunities and barriers to action – including information, capacity, and financial constraints. Addressing this web of constraintsrequires smart and integrated policy responses that – for instance – support firms by providing dedicated schemes to mitigate investment barriers, but that also address the underlying and systemic causes that created these barriers in the first place. The ambitious targets for resource efficiency must be matched by carefully designed policy packages: Investing in resource efficiency requires the mobilisation of capital from the public and private sectors. To mobilise these resources, policy frameworks must be designed to mitigate and remove the barriers to investment, and to balance economic, environmental, and social goals. 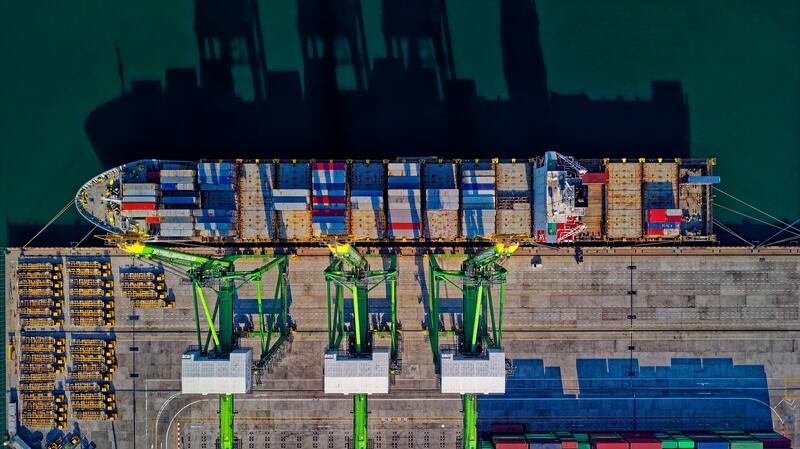 Overall, integrated policy and regulatory strategies are needed to mitigate transitional costs, manage the trade-offs, and deliver the full potential of resource efficient and circular economies. Overall, this book focusses on practical measures that can overcome existing barriers and create innovative approaches for boosting resource efficiency investments. It aims to serve as a practical guide and reference to those at the front line of implementing resource efficiency: policy makers, investors, and decision makers in firms and governments. In doing so, this book aims to guide future research, and contribute to the design and implementation of more effective resource efficiency policies – and thus facilitate the transition to more resource efficient and sustainable development pathways. This blog post was originally published on the World Bank’s Development in a Changing Climate blog. Read more about this topic in a related OECD blog. The book was written while Florian Flachenecker and Jun Rentschler were Doctoral Researchers at University College London. The findings, interpretations, opinions and conclusions expressed in the book and the arguments employed are entirely those of the authors. They do not necessarily reflect the official views of the OECD or its member countries. They also do not necessarily represent the views of the International Bank for Reconstruction and Development/World Bank and its affiliated organisations, or those of the Executive Directors of the World Bank or the governments they represent.